Sports Definition: the ability to exert a maximal force in as short a time as possible, as in accelerating, jumping and throwing implements. While strength is the maximal force you can apply against a load, power is proportional to the speed at which you can apply this maximal force. 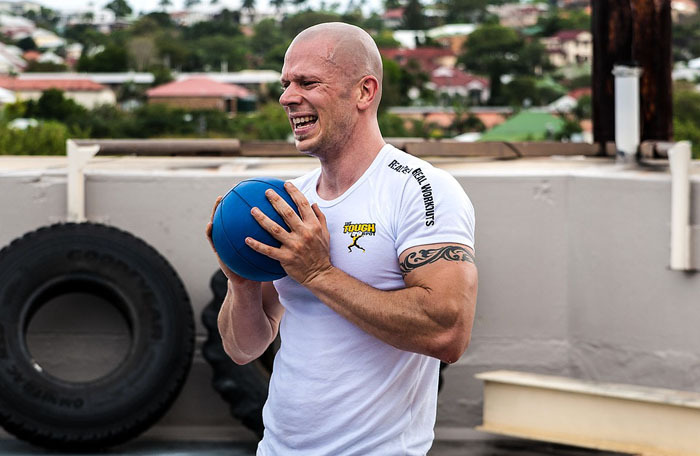 Training to improve power can include lifting weights, throwing implements such as medicine balls, running against a resistance, and plyometrics (depth jumping and bounding). Muscle Power is one of the main fitness components, important for success in many sports. Certain sports, such as weightlifting, boxing and weight throwing, it is one of the most important physical attributes. In many other sports, including football, good power is also very important as part of the overall fitness profile. A vote of the top sports requiring power has the obvious sport of Olympic weight lifting on top. See also another list ranking sports in which speed and power is important. Improve your vertical jump - see these workout programs for sale.